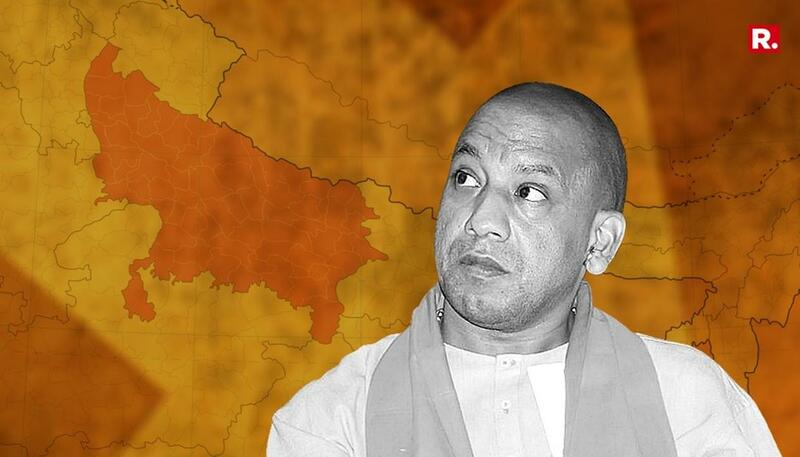 With the 2019 Lok Sabha elections looming ever larger, the political scenario in the country is currently in a state of flux, with parties desperately figuring out seat-sharing terms, snubbing or accepting each other with respect to alliances, or fielding their big names in various states. 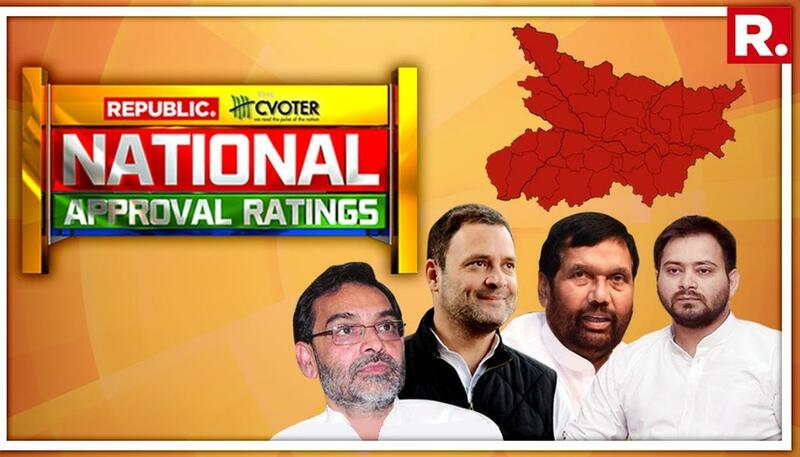 Republic TV and CVoter are back with the National Approval Ratings to give a complete national picture as to who will win if polls are held today. 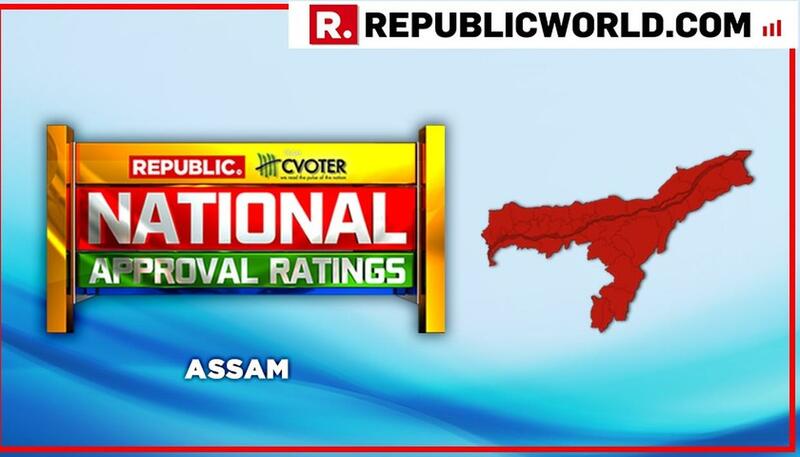 For the state of Assam, there are 14 seats up for grabs. Here's the projected breakdown of seat share and vote share in the state. As per the projection, UPA is projected to give a tough fight to NDA in terms of seat share. It has been a complete swap in the positions of NDA and UPA politically as compared to October, November and December approval ratings. In December edition, the BJP + BPF+AGP combine was projected to hold seat share of 9 seats with the BJP gaining one seat when compared to 2014 general elections. On the other hand, UPA was projected grab 4 seats. When compared to 2014 elections, it was a one-seat gain for UPA in 2019. 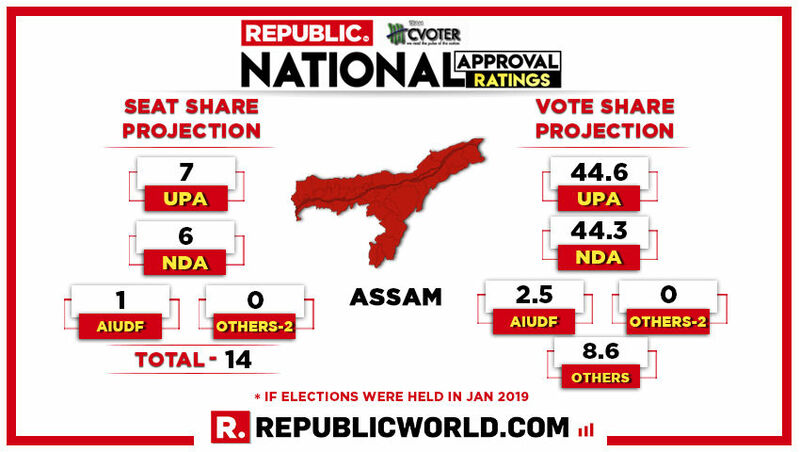 In November edition, 9 of the 14 were slated to swing the NDA way, 4 were to swing the UPA way and one was projected to be grabbed by AIUDF. While overall it seemed like a complete status quo in terms of seat share. In October, NDA, which won 8 seats in 2014, added one more to their name, making it 9 seats. Meanwhile, Congress was predicted to win 4 seats. 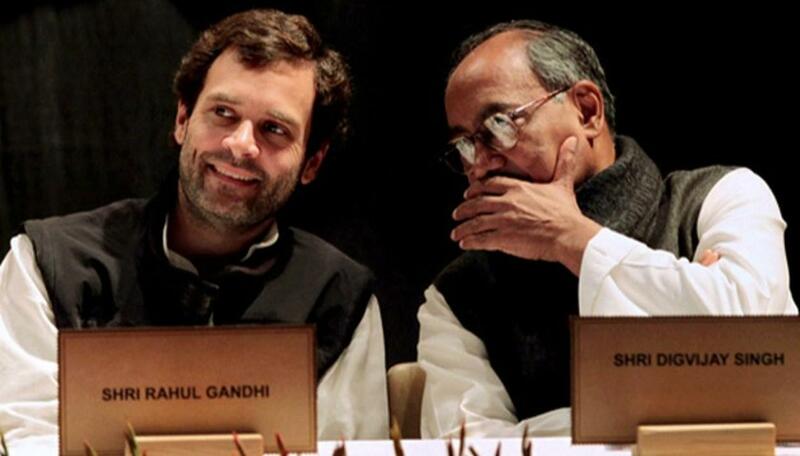 The election year 2019 started off with India’s opposition appearing largely unwilling to acquiesce to Rahul Gandhi's proposal of the Congress serving as a platform for regional parties to come together in order to defeat the BJP. Despite the Congress successes in Rajasthan, Madhya Pradesh and Chhattisgarh, in Uttar Pradesh, the much-heralded Mahagathbandhan turned out to just be a 'Gathbandhan' as old enemies Akhilesh Yadav and Mayawati left the Congress out, forming an SP-BSP alliance. Left on its own, the Congress resolved to contest every one of the state's 80 seats and proceeded to formally induct Priyanka Gandhi Vadra into the party, appointing her and Jyotiraditya Scindia as General Secretaries for Uttar Pradesh. Elsewhere, former Gujarat CM Shankarsinh Vaghela is to join the NCP, while the Congress alliance with the TDP in Andhra Pradesh is also in doubt. 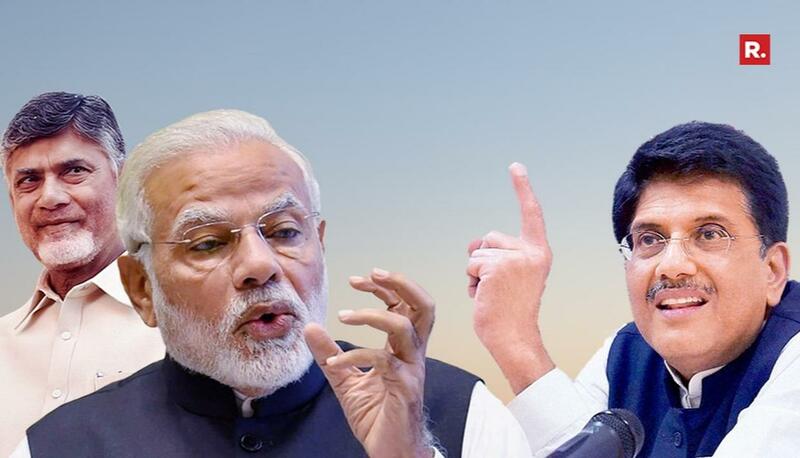 Meanwhile, the BJP and Shiv Sena may have witnessed a thaw in their relationship with the Maharashtra government sanctioning Rs 100 crore for a Balasaheb Thackeray memorial. 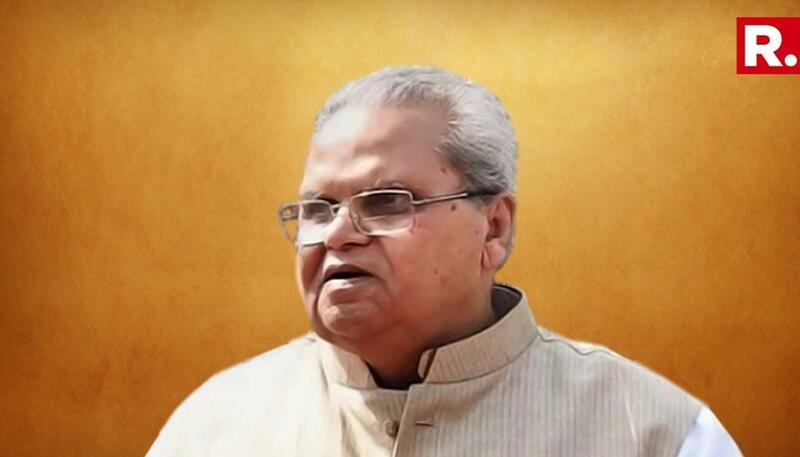 On issues concerning large numbers of people, the government passed a constitutional amendment giving a green signal to provide 10 percent reservation in jobs and educational institutions to economically weaker sections in the general category, while numerous agrarian schemes that needn't necessarily be farm-loan waivers have also been spoken of in the lead-up to the Modi government's final budget.